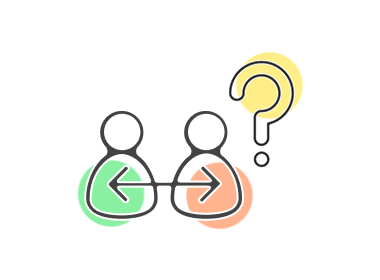 Encourage group collaboration by splitting your participants into breakout rooms to talk, share and work together. Breakout rooms are subrooms that you can use to split your participants into smaller groups. 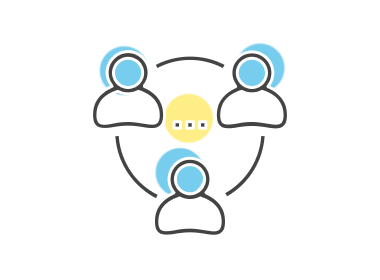 These smaller groups of participants can then engage one another through tools like video and text chat, file sharing, screen sharing, and whiteboard. 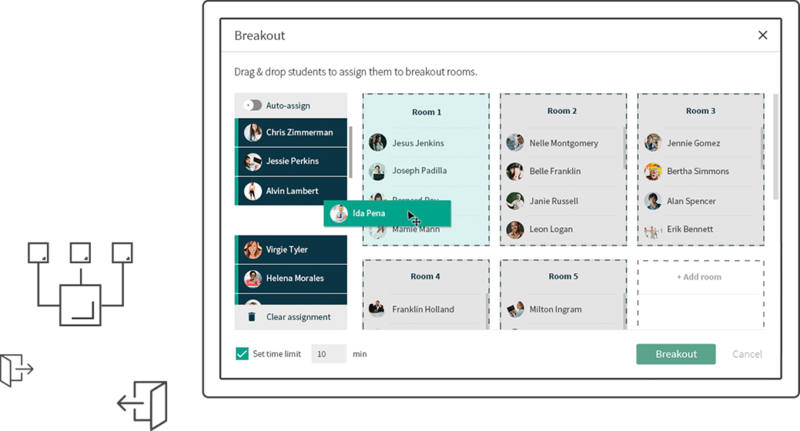 Add additional breakout rooms, assign participants to rooms, set a timer and initiate breakout. 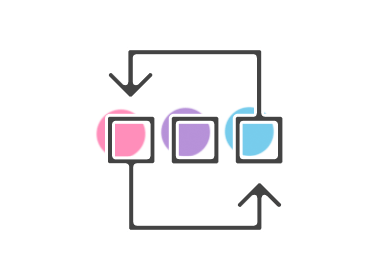 When the session is broken out, you are able to broadcast messages to each room, join each room to work with the groups, re-assign participants to different rooms and end breakout. Participants interact with one another in their breakout rooms. When the session is broken out, participants are automatically redirected to their assigned breakout room. Once in their breakout rooms, participants can use a powerful set of collaborative tools to work together. They can summon the instructor if they require assistance and even record their sessions to share and review later. Newrow Smart is free to try. Create your free account today! © 2019 newrow_ Inc. All rights reserved.